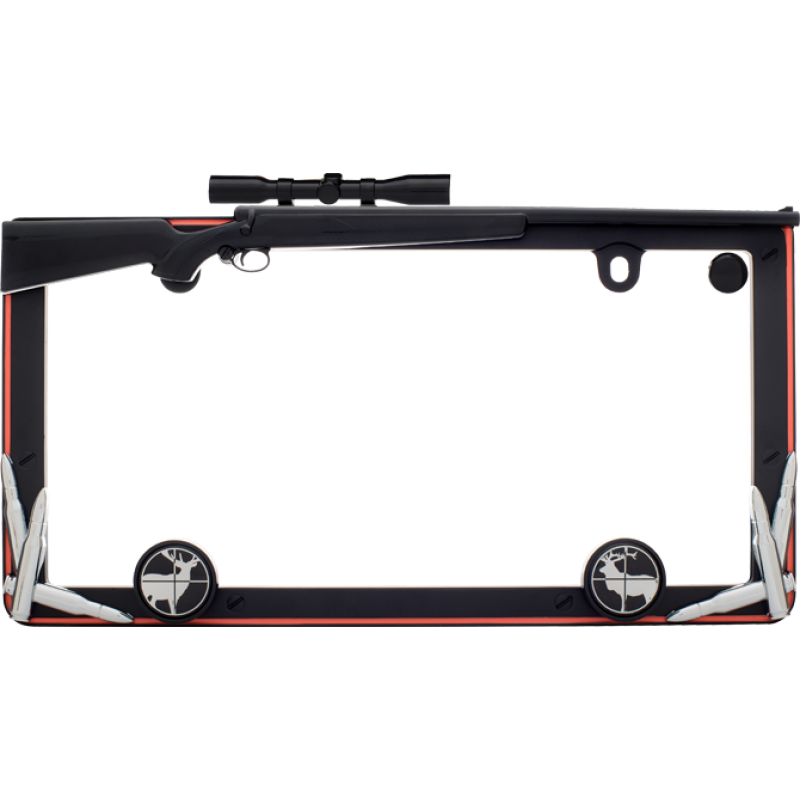 Perfect for your outdoor sportsman this hunting base frame is made of durable metal and is matte black powder coated. The scope, rotating cap covers and fastener cap are made of ABS molded satin black plastic and the bullets are made of ABS chrome plated plastic. The Safety orange outline is hand-painted. Perfect for your outdoor sportsman this hunting base frame is made of durable metal and is matte black powder coated. The scope, rotating cap covers and fastener cap are made of ABS molded satin black plastic and the bullets are made of ABS chrome plated plastic. The Safety orange outline is hand-painted.